The Sharpener is coated on both sides with diamond particles (medium #280 and fine #600). 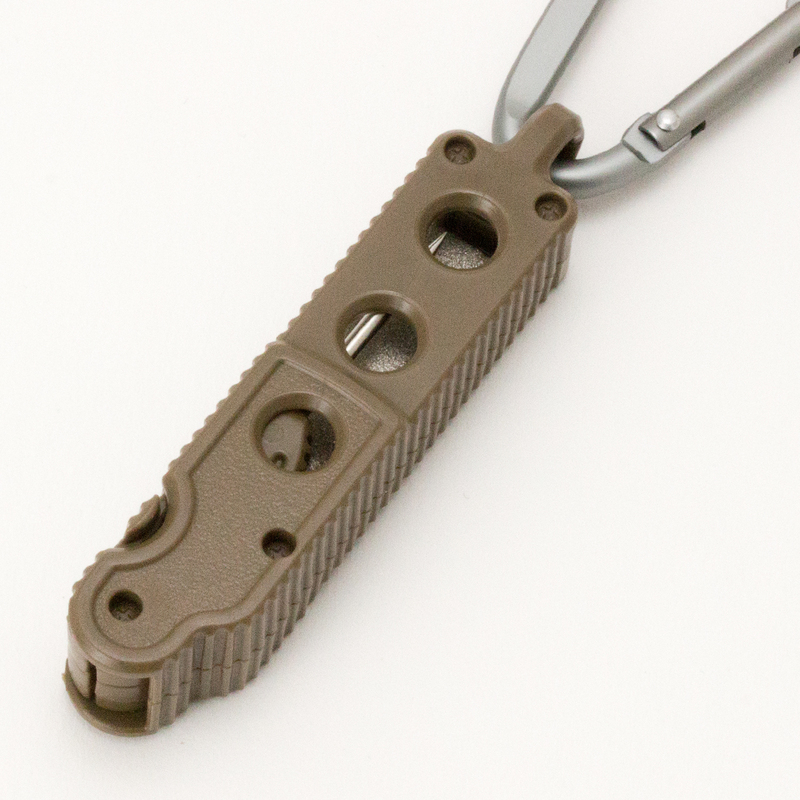 The fine side is grooved for easy grinding of small hooks for light-game use. 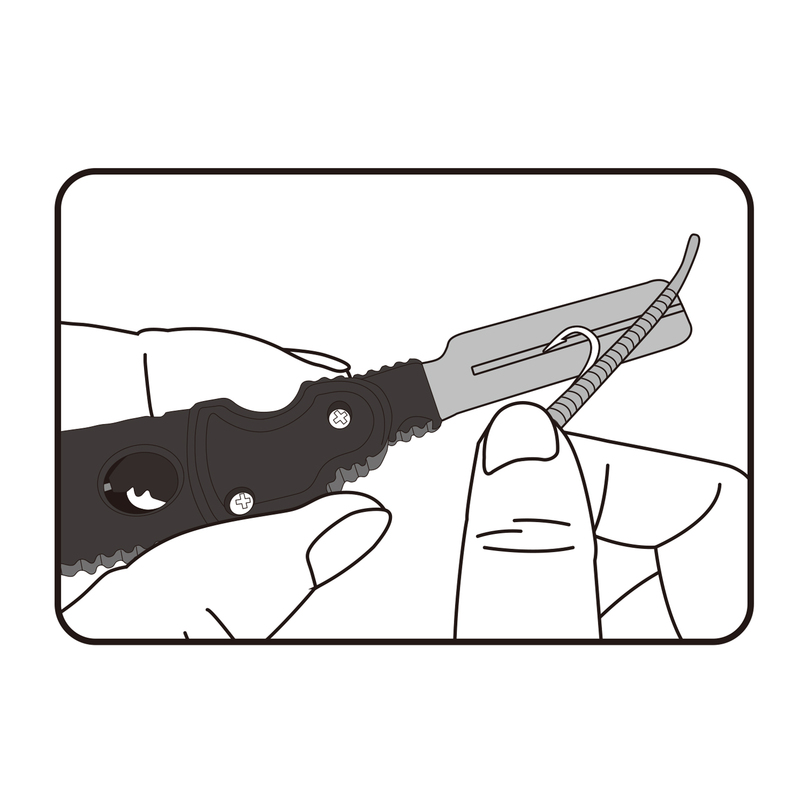 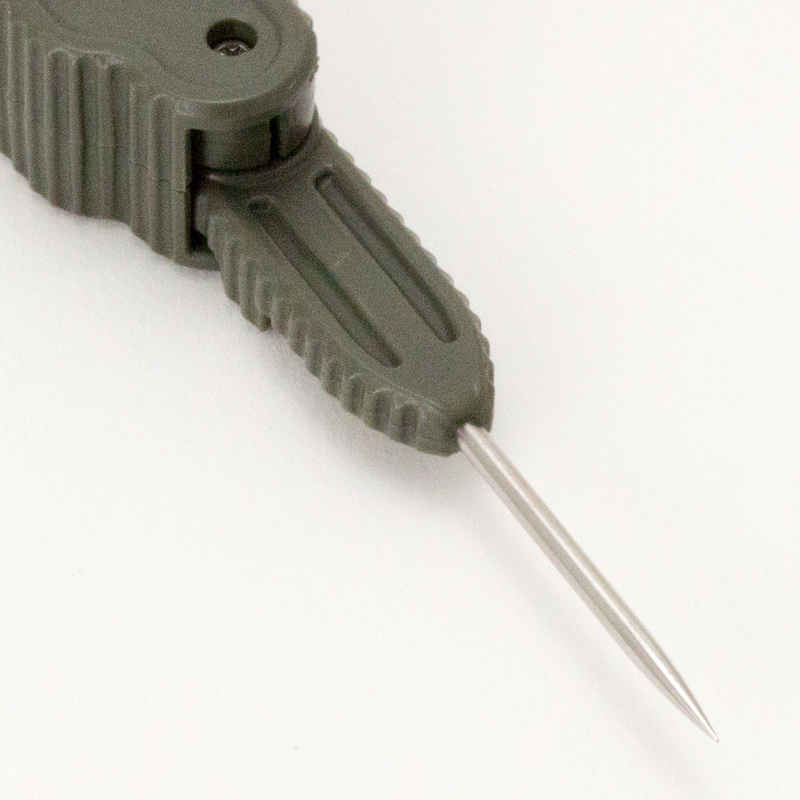 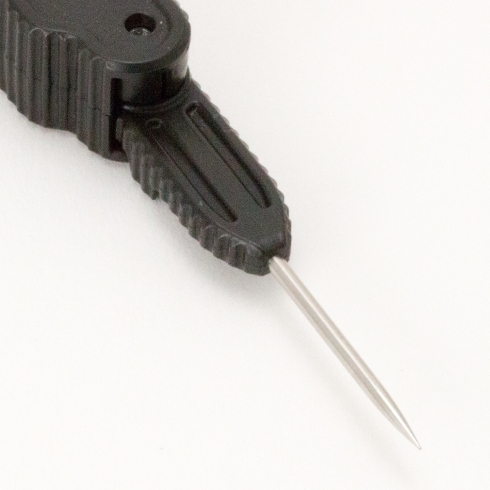 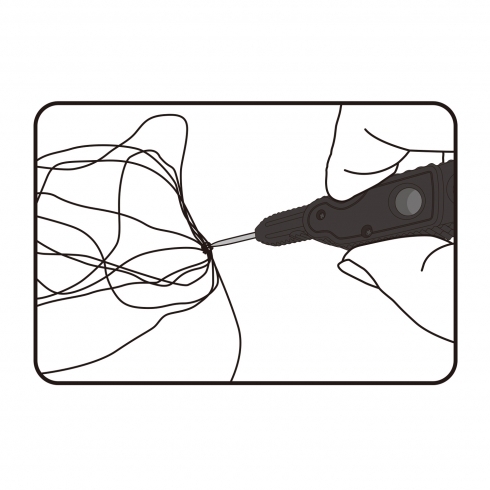 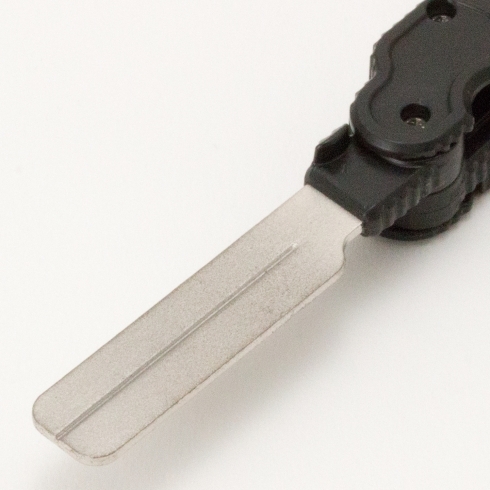 The Omatsuri Loosening Pick unravels tangled lines. 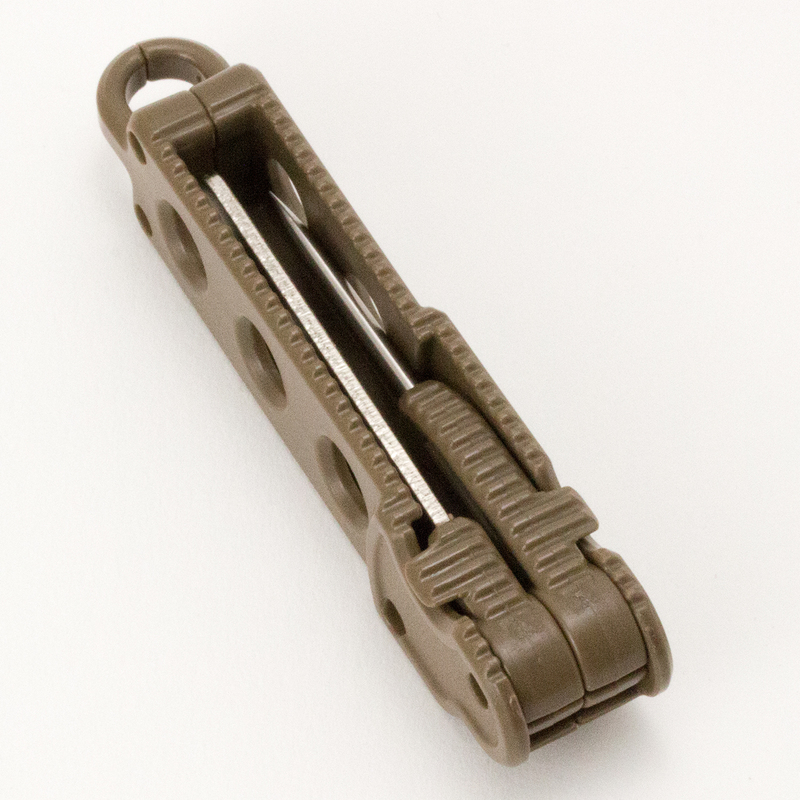 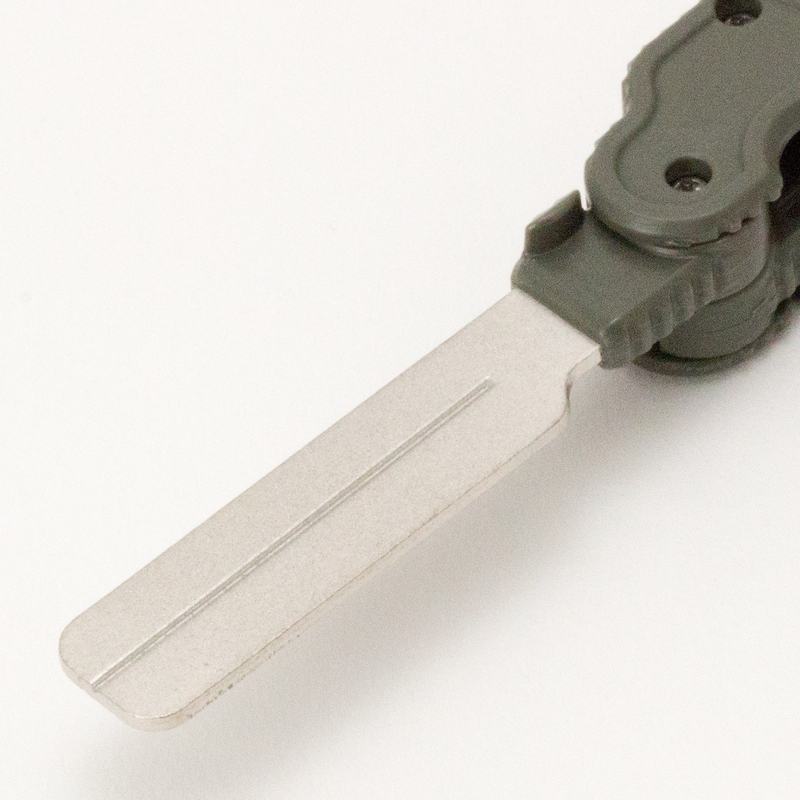 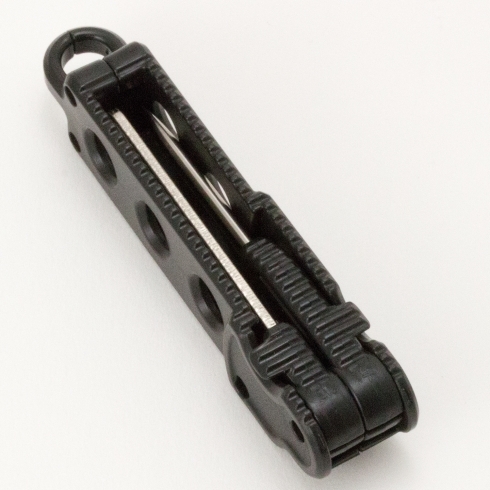 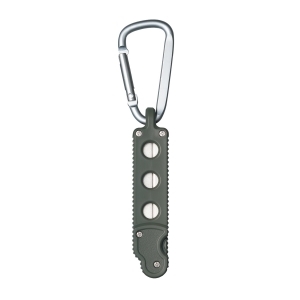 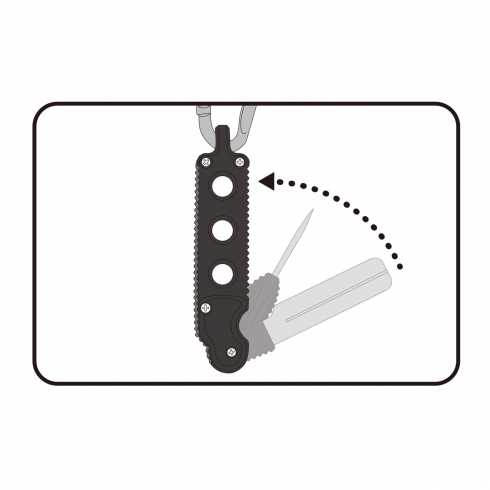 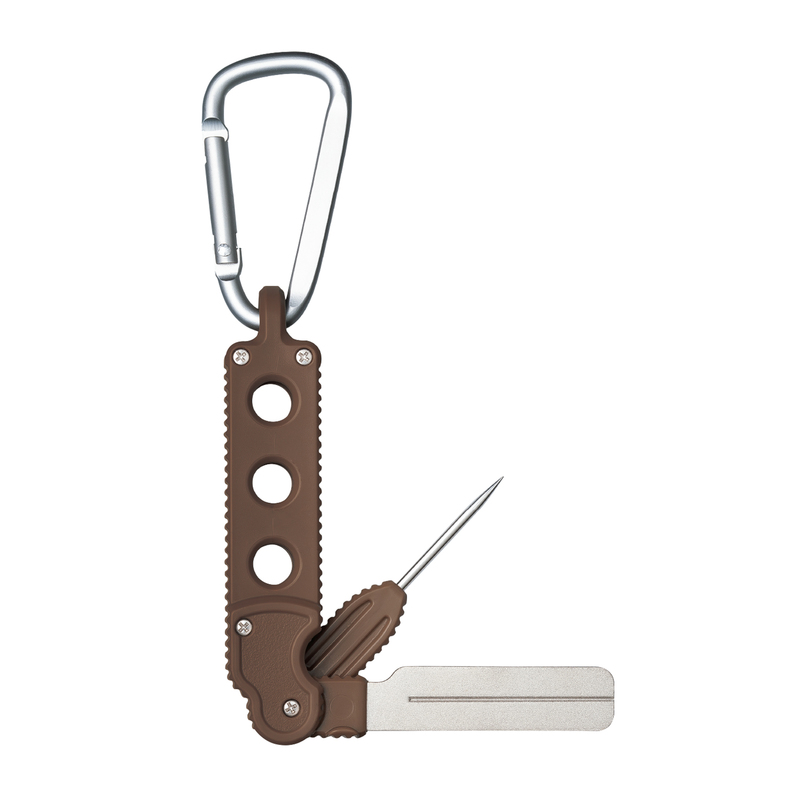 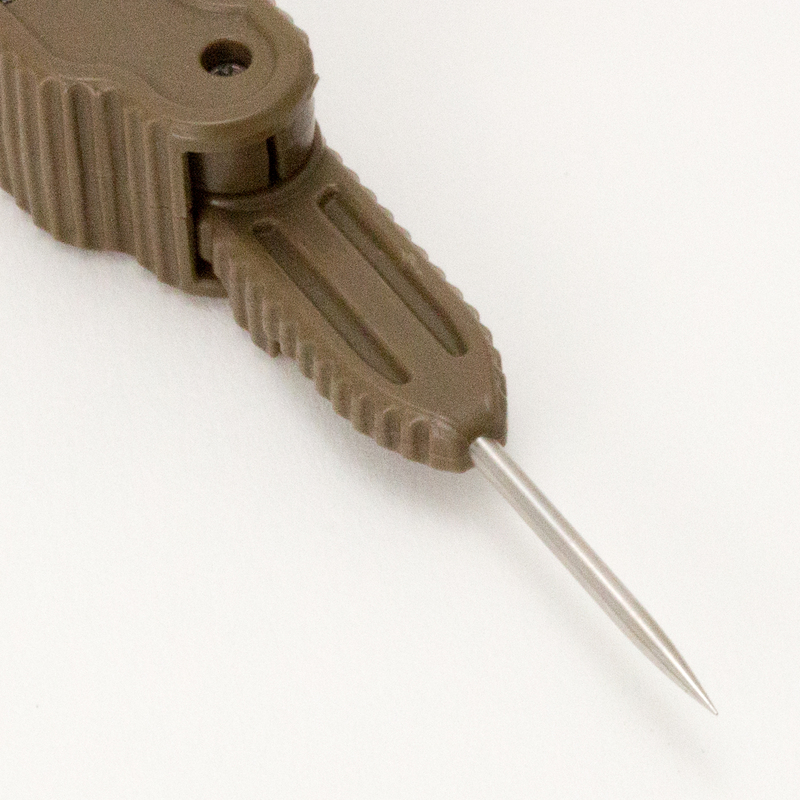 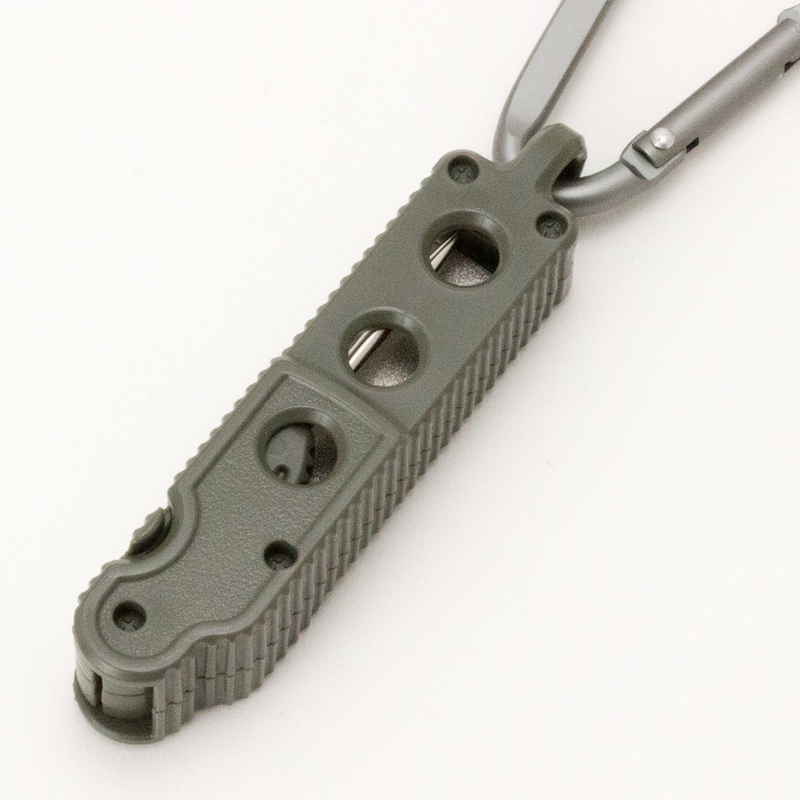 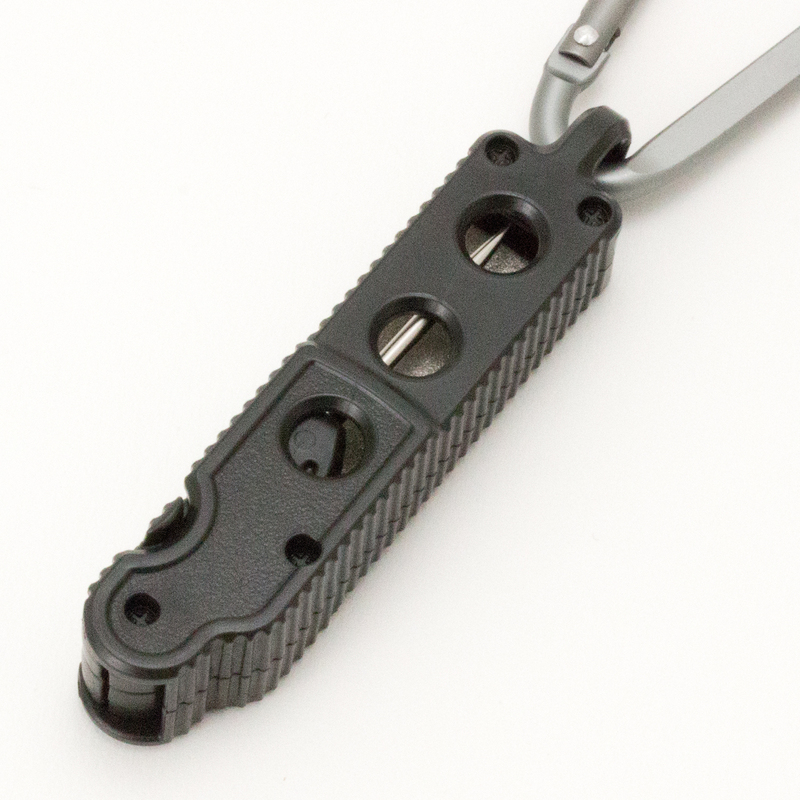 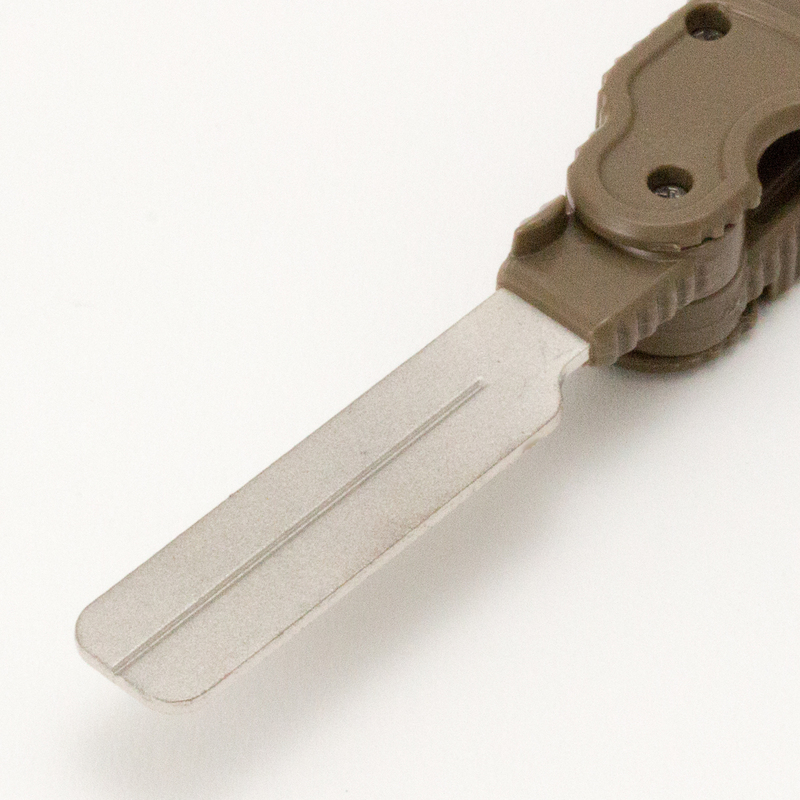 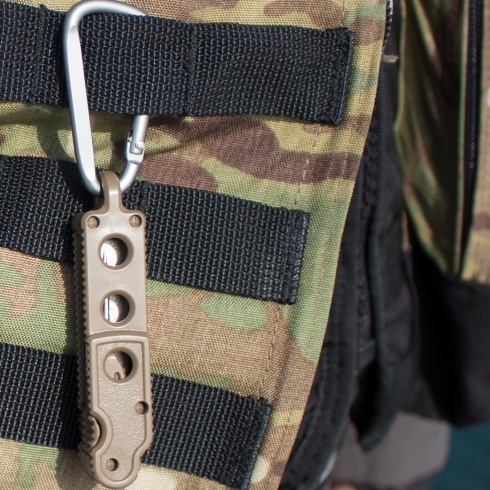 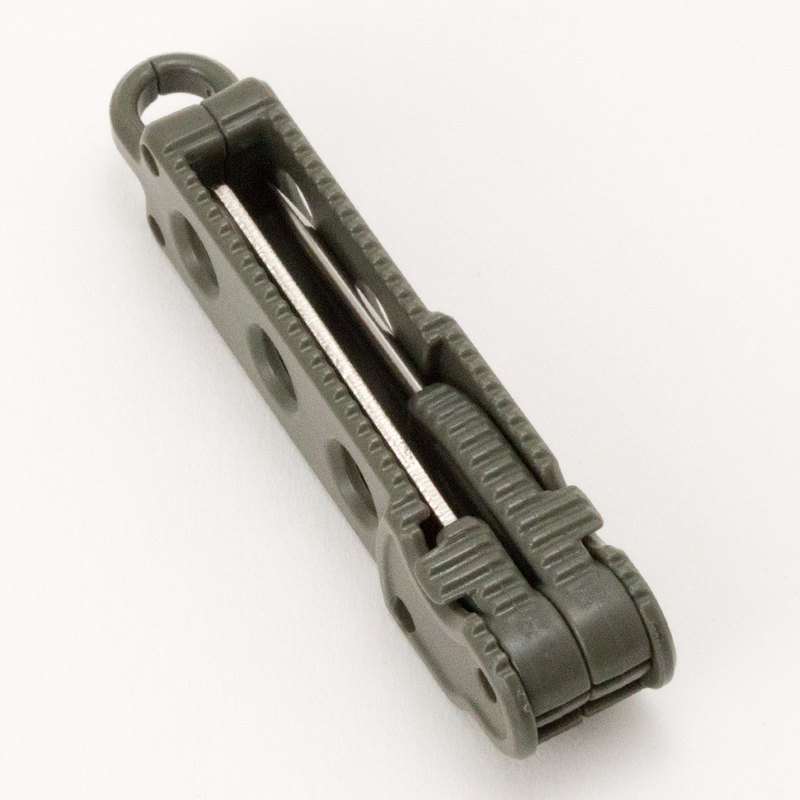 Conveniently attach the product to your game vest by folding the pick into a handle.